Palliative care is a specialized form of medicine that aims to enhance the quality of life of patients and their families who are faced with serious illness. It focuses on increasing comfort through the prevention and treatment of distressing symptoms. In addition to expert symptom management, palliative care focuses on clear communication, advance planning, and coordination of care. Palliative care encompasses the whole self, caring for the physical, emotional, and spiritual needs of patients and their families. It provides relief from pain and other symptoms of illness such as fatigue, nausea, shortness of breath, and loss of appetite. The goal is to prevent and relieve these symptoms so you can get on with daily life. The terms "palliative care" and "hospice care" cannot be used interchangeably. Hospice is only one type of palliative care that can be provided in the last six months of life. Traditional palliative care can be offered anytime in the course of an illness and ideally, should begin at the time of diagnosis. To illustrate, let's talk about Aunt Tilly. Aunt Tilly is diagnosed with breast cancer and is recommended to start chemotherapy and radiation treatments. Aunt Tilly knows that chemotherapy can make her feel horrible and radiation can be painful. She is referred to a palliative care program for symptom management and receives excellent treatment of her chemotherapy-induced nausea, fatigue, and oral thrush (a yeast infection of the mouth common in chemotherapy patients). She is also visited by a Medical Social Worker who helps her complete her advance directives, just in case she loses the ability to speak for herself. She gets weekly visits from a chaplain who prays with her and discusses Aunt Tilly's theological questions. Well, Aunt Tilly endured three rounds of chemotherapy and a week of radiation but her breast cancer is aggressive and resistant to treatment. Aunt Tilly is told that she has six months to live and is referred to hospice care. Hospice comes to Aunt Tilly's home and continues with the expert symptom management that the palliative care team started. They address new symptoms as they arise and begin to talk to Aunt Tilly about her impending death and what her goals and priorities are. Hospice helps Aunt Tilly to fulfill her life-long dream of riding in a Porsche and helps her reconcile with her long-estranged daughter Talula. Aunt Tilly dies peacefully surrounded by her family. As you can see from this illustration, there was an appropriate time for palliative care to get involved and an equally appropriate time to transition to hospice care. To learn more about hospice, see "What is Hospice Care?" It's common practice in the treatment of illnesses to have several different doctors treating separate conditions. For example, someone with diabetes may see an endocrinologist to manage blood sugars, a cardiologist to manage heart disease, and a nephrologist to manage kidney disease. A palliative care physician often acts as the conductor, orchestrating the care between several specialists to produce care that is in perfect harmony. The team can offer support to patients and their loved ones, help them navigate through the healthcare process and assist in making healthcare choices that are right for them. 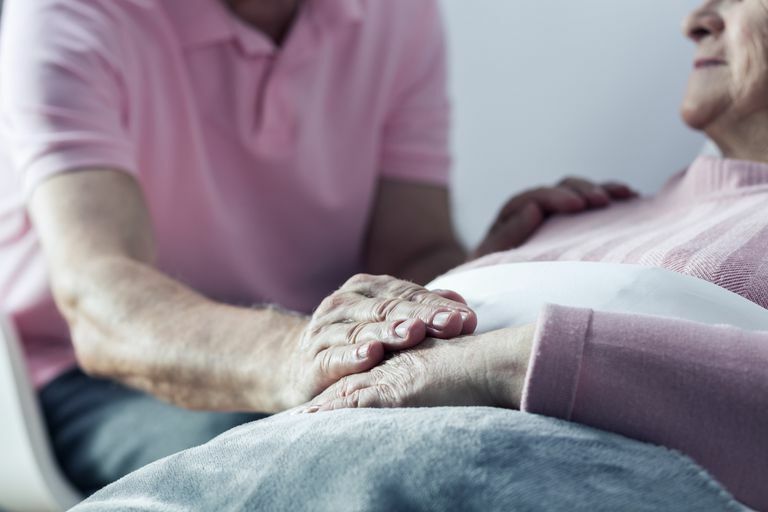 Palliative care can be given in a hospital setting, often times in conjunction with other therapies and treatments such as chemotherapy or radiation. It can also be delivered outpatient, in a clinic or at a patient’s place of residence such as the patient's own home, the home of a family member, or a nursing home. The goals of care are the same regardless of where a patient receives it. Your doctor, case manager nurse, or social worker can direct you in finding palliative care. As of today, finding palliative care in an outpatient setting proves challenging but that is changing as more and more hospice organizations begin to offer traditional palliative care in addition to hospice care. Anyone who has a life-limiting illness can benefit from palliative care. Once thought to be only for cancer patients, palliative care programs are now caring for people with all kinds of illnesses. Heart disease, stroke, neurological disorders, and deadly infections are just some of the conditions a palliative care team may see every day. If you think you could benefit from palliative care, speak with your doctor about it today.